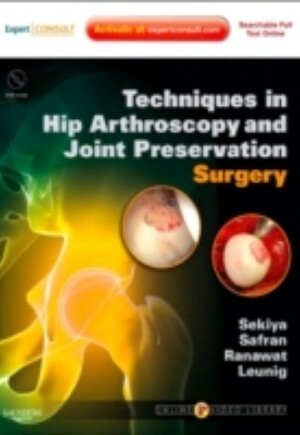 Techniques in Hip Arthroscopy and Joint Preservation Surgery is a stunning visual guide to the latest developments in the field. Drs. Jon K. Sekiya, Marc Safran, and Anil S. Ranawat, and Michael Leunig provide a step-by-step, balanced approach-with contributions from an array of North American and international surgeons-to pre-operative planning, surgical technique, technical pearls, management of complications, and post-operative rehabilitation. Surgical videos on DVD and online demonstrate techniques such as surgical hip dislocation for femoracetabular impingement and arthroscopic femoral osteoplasty so you can provide your patients with the best possible outcomes.